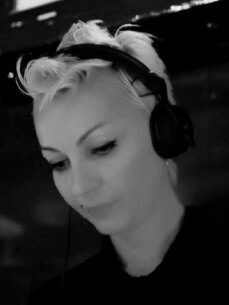 Since 1997, Beyza has been at the forefront of the electronic music scene in her hometown of Istanbul, Turkey. Early in her career, she was chosen to play at the largest open air club of Europe called 2019. Following these early gigs, Beyza quickly ascended to the height of Istanbul's underground scene and beyond. Her trips as a professional DJ have not only taken her to venues all over Turkey, but stretch as far as France, Cyprus, Germany, Netherlands, Austria, Romania, Slovenia, Georgia, Bulgaria, Ukrania, Polland, and the United States. From small intimate clubs and larger beach parties, to massive New Year's Events, Beyza has only begun to accomplish the vision she has set forth. Beyza's interest in becoming a DJ started in the 1980's with visits to discos as a teenager when she was a student at school of classical dance. Beyza's abilities have grown beyond the DJ booth, and have spread to the production studio. The original track entitled "Celebrate" will be released on Prosound's 3rd installment of the "Future Sound of Istanbul" compilation series in the year 2004, and will mark her debut appearance as a producer. As well as focusing on projects such as "No Distance", ''Distance Embrace'', "Misunderstood" and "Ball of Wool", ''Bubbles'' and ''Dunya'', her massive hit ''Sucre&Sale'' became a topten of the major web based music stores for a period of two months. She is also a part of phatelephant productions based Amsterdam and D-StRiKt Booking Agency based in Paris,, the city where she performs oftenly.